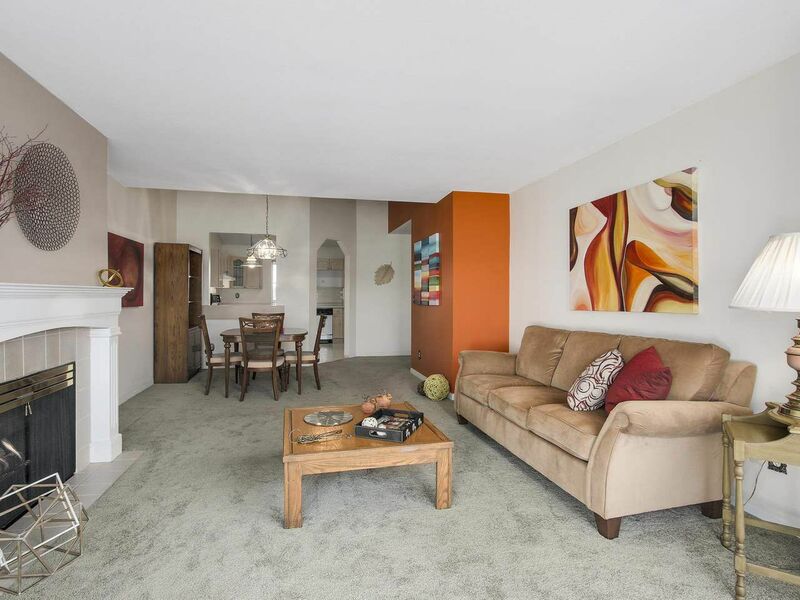 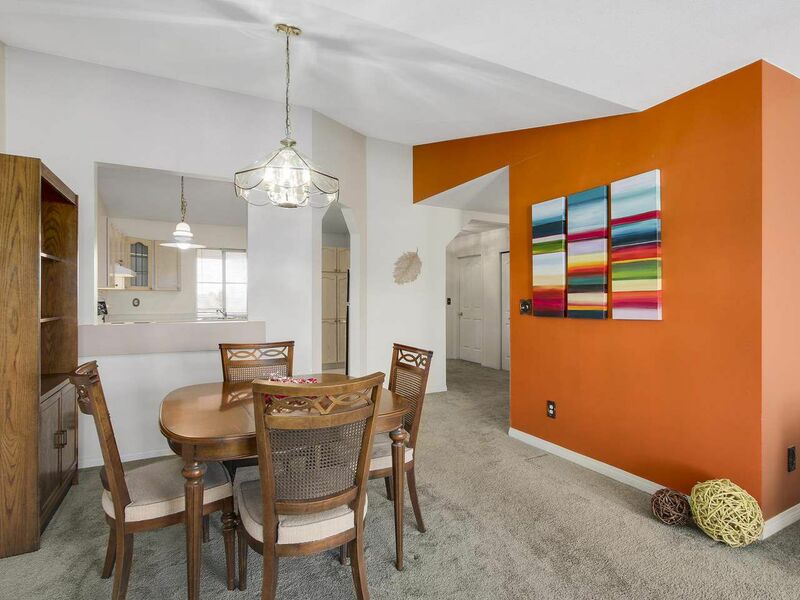 This TOP FLOOR 2 bedroom 2 bath condo has over 1290 sqft of comfort that feels like a home with some VAULTED CEILINGS in areas! 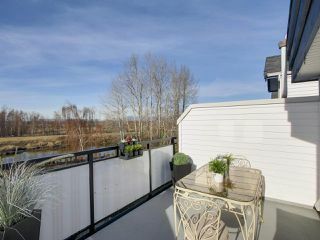 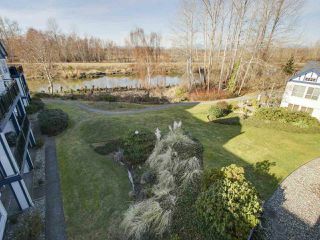 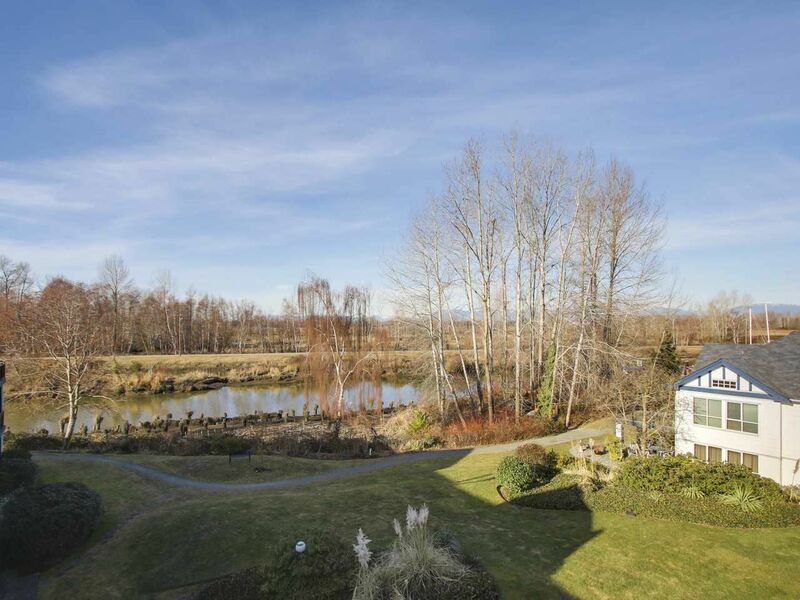 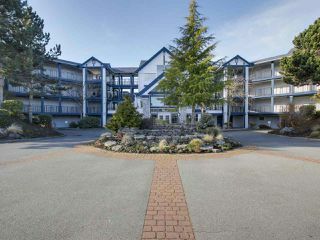 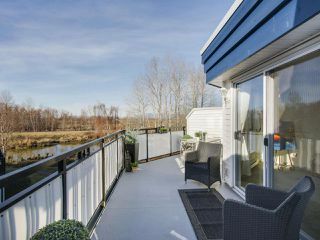 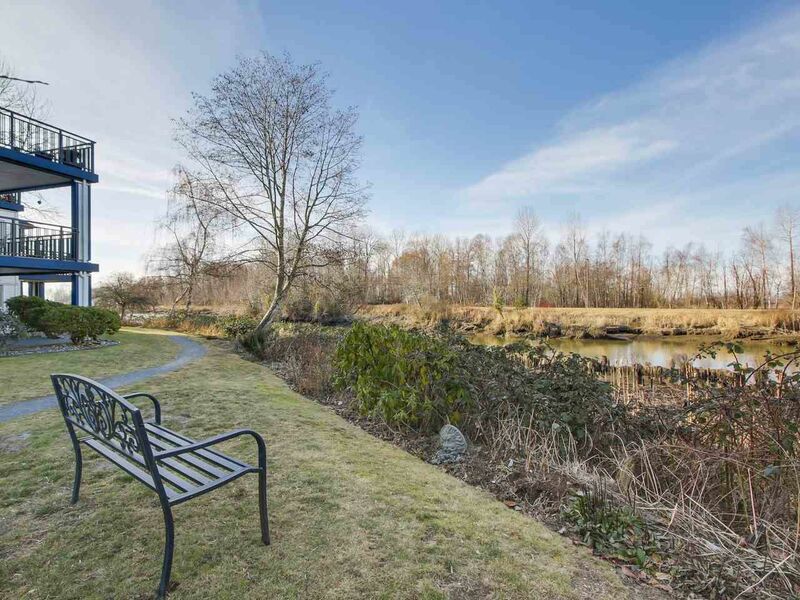 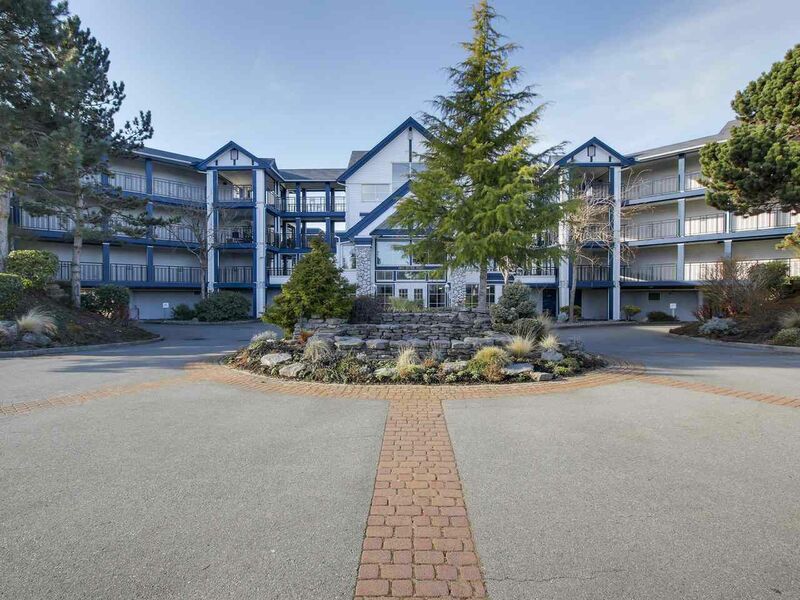 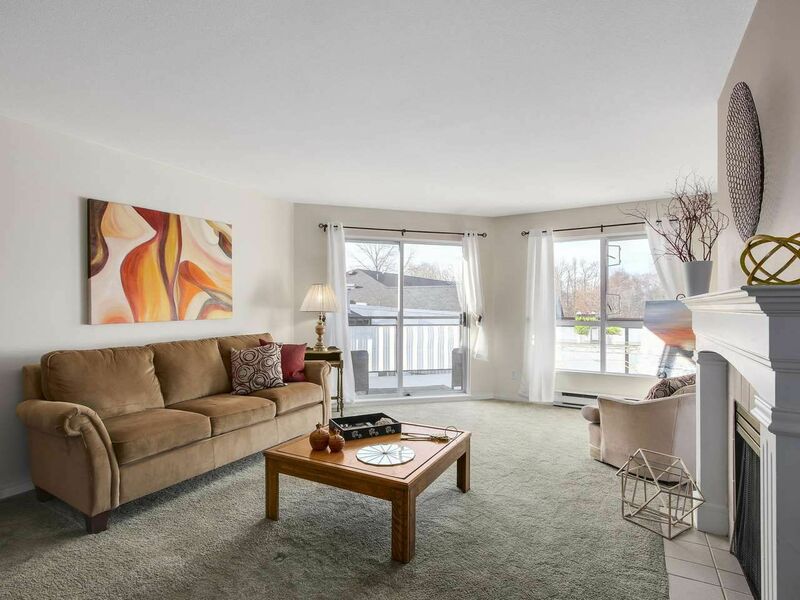 You will love the tranquil setting with the extra large balcony that has the river view, while being an easy walk to the adorable Ladner Village. 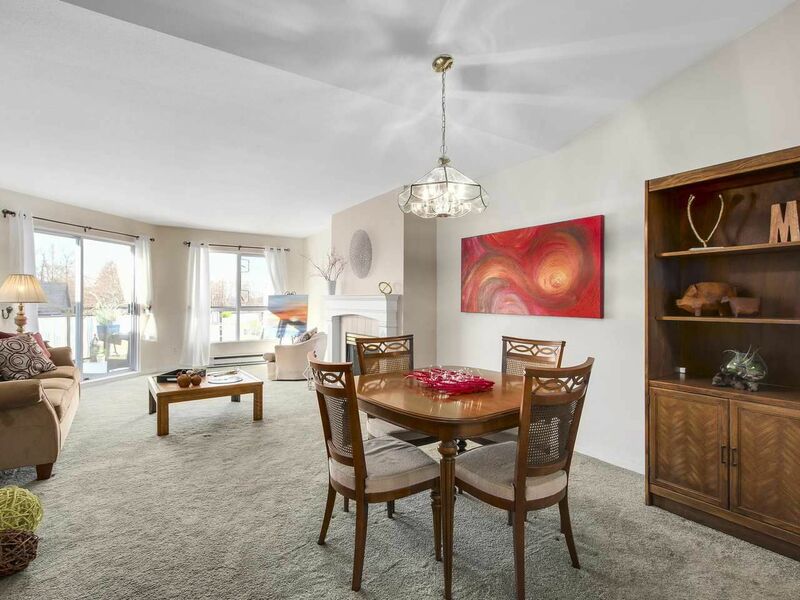 A large foyer welcomes you home with ample storage, laundry, & closets. 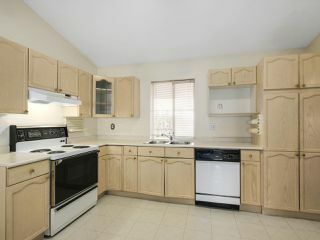 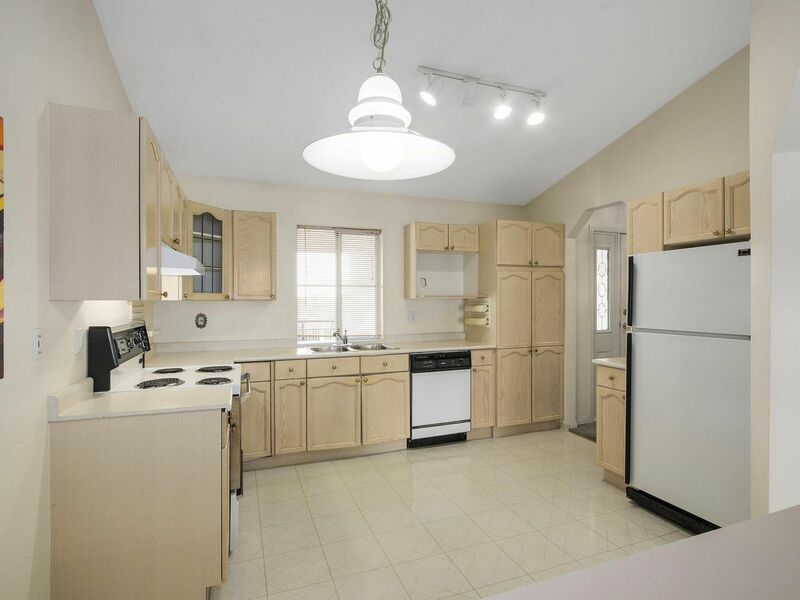 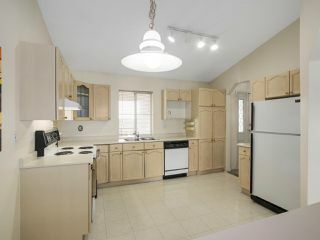 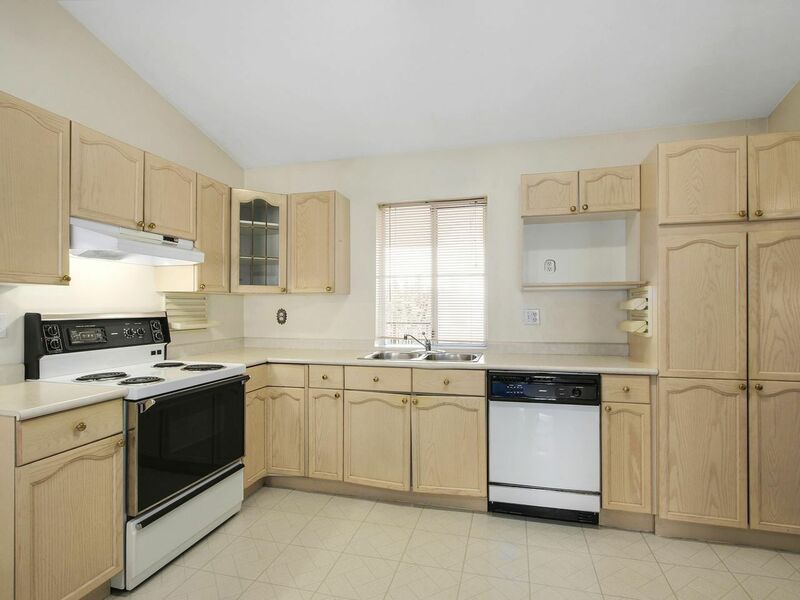 The kitchen is large enough to have an eat-in area. 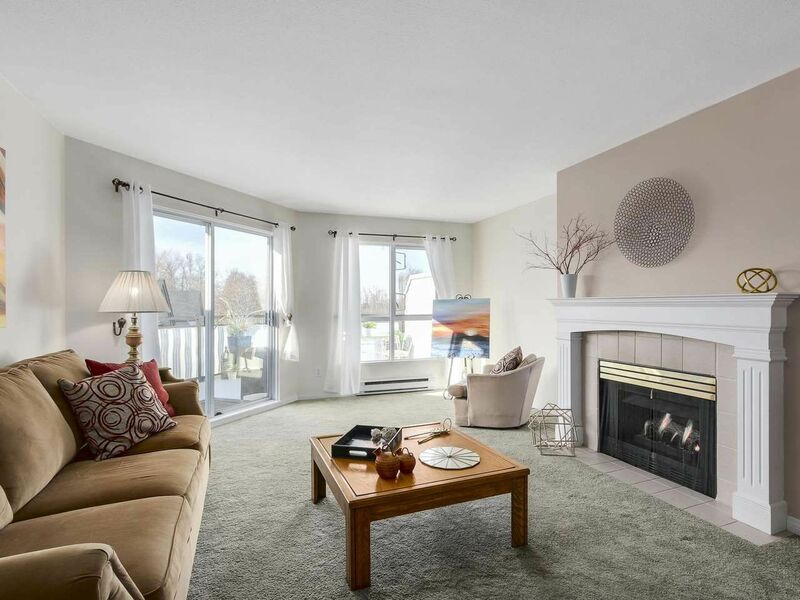 The open living & dining area are large enough to hold house-sized furniture and are perfect for entertaining with a fireplace & sliding doors to the XL balcony. 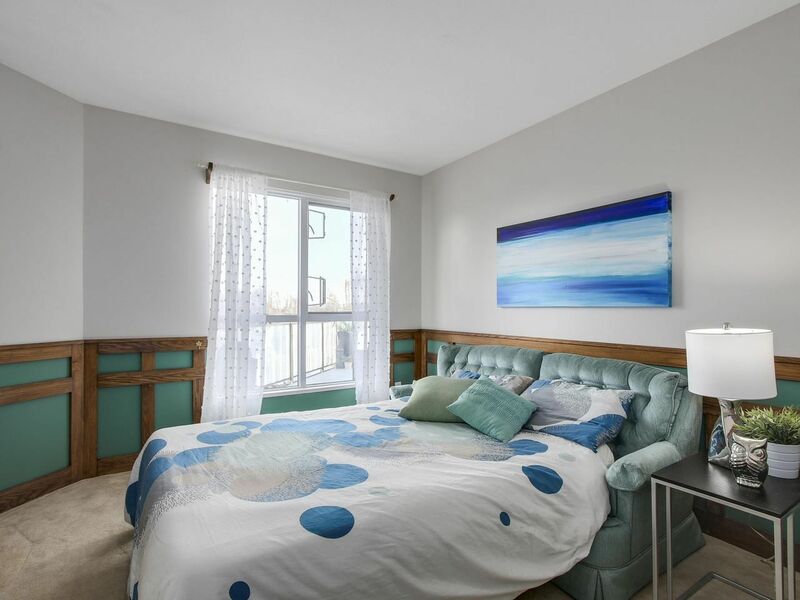 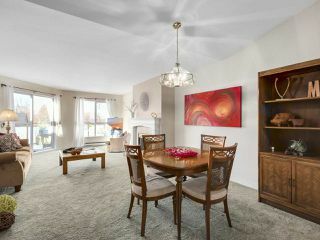 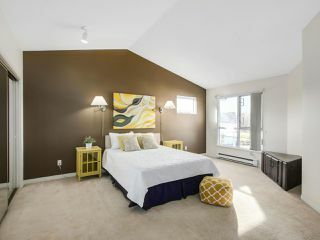 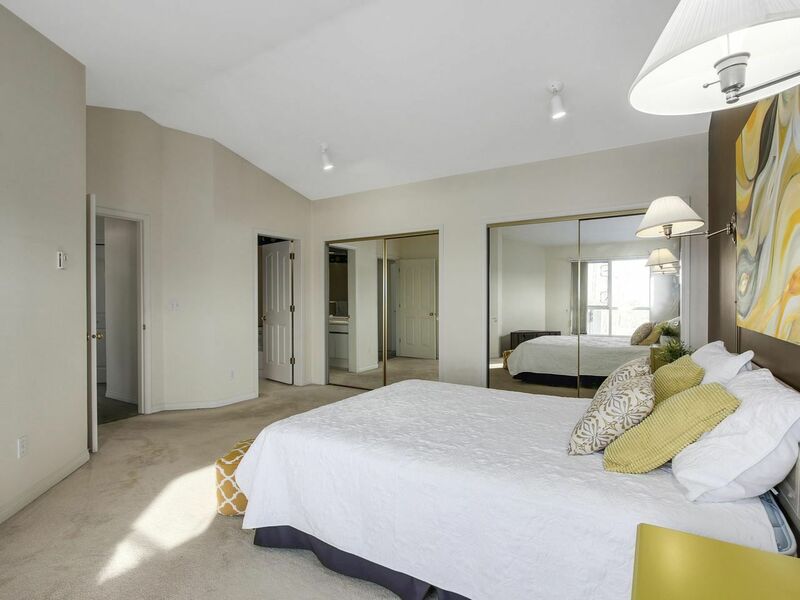 The EXTRA LARGE MASTER BEDROOM has ensuite & a wall of closets with a river view. The second bedroom is also a great size for guests or an office. Call to view!